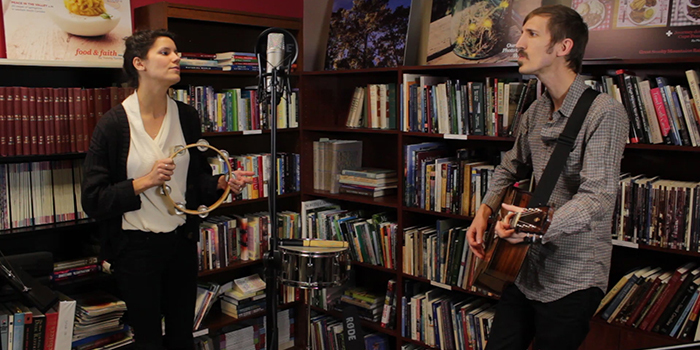 Lowland Hum stopped by the Our State library before setting off on a cross country tour. Lowland Hum is more than just a band. It’s the multisensory artistic collaboration of husband and wife duo Daniel and Lauren Goans. At their shows, Daniel and Lauren encourage audience interaction by passing out handmade lyric books and pausing between songs to answer questions or receive comments. Lowland Hum does more than sing songs on stage – they welcome their fans to become part of the art they’re creating. Watch their dynamic performance below.